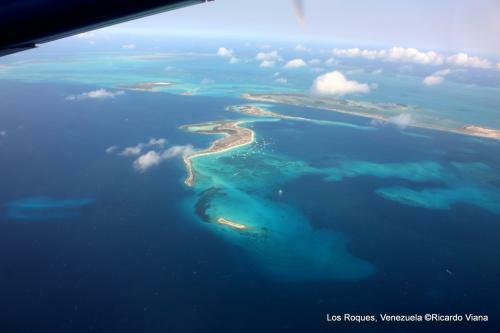 The Los Roques islands are a federal dependency of Venezuela, consisting of about 350 islands, cays or islets. The archipelago is an atoll located 80 miles (128 km) directly north of the port of La Guaira, and is a 40-minute flight. Being almost an untouched coral reef, it attracts many visitors, especially from Europe, some of which come in their own yachts and anchor in the inner, protected shallow waters. However, development and tourism are controlled. 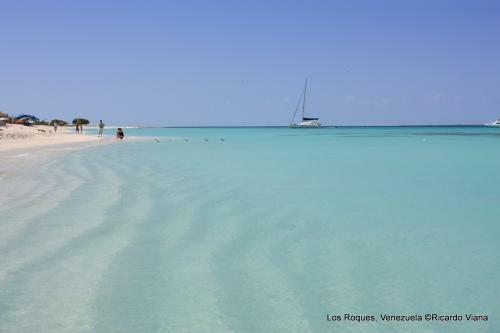 The best months to visit Los Roques are March-June. Januari, February, November and December are a bit less, but these months are kiteable too. Accommodations include Pez Raton Lodge, a property primarily used to host fishing guests, and Posada Mediterraneo, a 5-room inn which accommodates non-fishing guests. There are 60 guesthouses in the town of gran roque budget: del recuerdo, el botuto, magaly, roquelusa. upmarket: la cigala, macanao, malibu, canto de la ballena and many more. The climate of the region is tropical but rainfall varies with elevation, size and water currents (cool upwellings keep the ABC islands arid). Warm, moist tradewinds blow consistently from the east creating rainforest/semidesert divisions on mountainous islands. Occasional northwesterlies affect the northern islands in the winter. Winters are warm, but drier. The air temperature is 27Â°C. 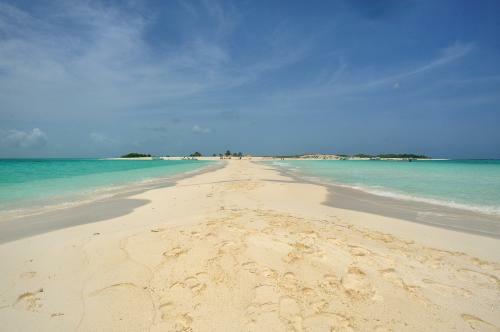 Cayo de Agua has a small soft and sandy beach without obstacles. It is not allowed to kite on the main island Gran Roque. The beautifull flat and shallow water has a temperature of 24Â°C all year. There are some small coral cays. Look out for shallows and sailboats. The tradewind blows from the north-east and is side-offshore on Cayo de Agua. That's why this spot is not ideal for beginners. Don't expect any facilities on the spot. There is a kiteschool on Los Roques, Dare2Fly. The Dare2Fly center is located on Francisqui, just a short boat ride away from the main island of Gran Roque. The nearest airport is in the city Caracas. From there you can fly to the nearest town, Gran Roque. The trip from Gran Roque to Cayo de Agua is short and by boat.